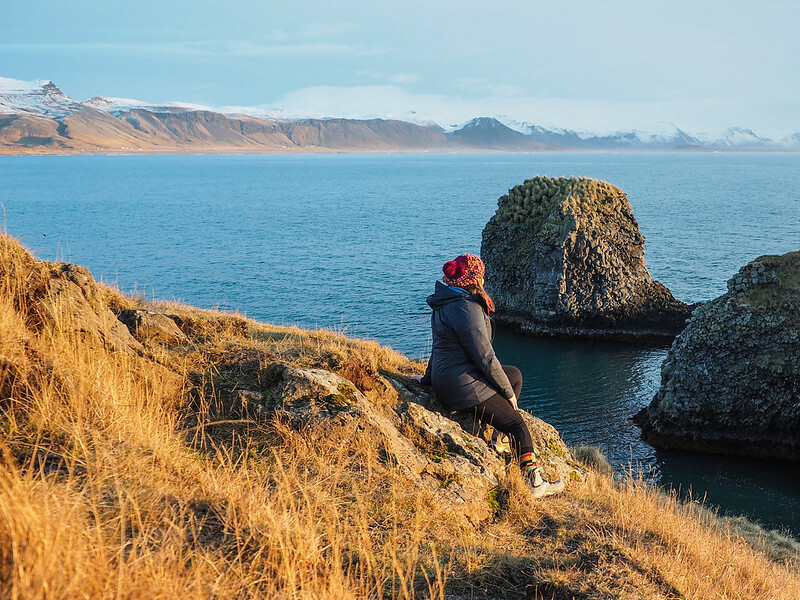 Even though many people consider travel to be a “getaway” from routine and a person's normal life, the truth is that traveling isn't always relaxing. In fact, travel – and especially international travel – can sometimes be downright stressful. I actually know plenty of people who have never traveled abroad simply because they don't know where to start. 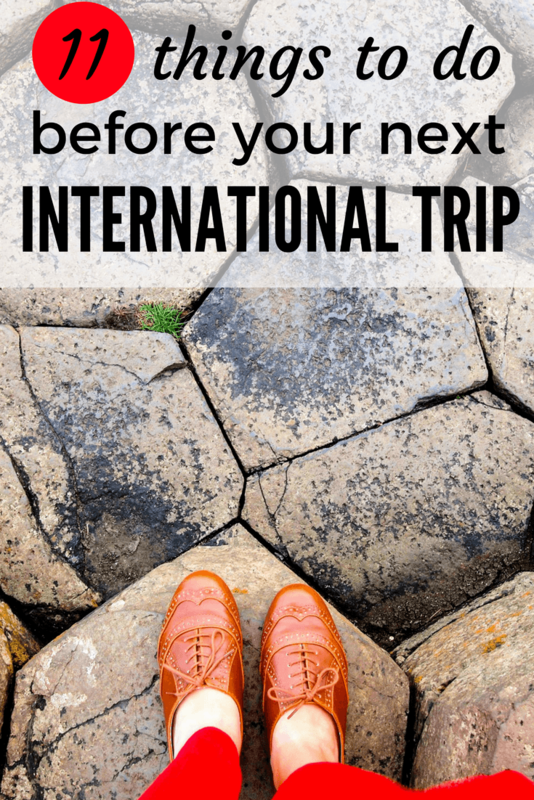 This post isn't going to be about planning an international trip – there are plenty of other resources out there for that, and any tips I could give would really depend on the destination. Rather, this post is going to be about all the things you need to do before actually leaving on said international trip. If you're an American traveler like me, you're lucky – we are able to visit many countries around the world without needing to apply for a visa beforehand. Some countries will require nothing more than a passport stamp, while others will enable you to get your visa when you arrive in the country. But don't just assume that because you carry a US (or Canadian or British or Australian) passport that you can travel visa-free to any country. You'll still need to go through the visa application process to travel to places like Russia and Brazil. You'll need to apply for a visa-on-arrival for places like Vietnam. Going to Australia? Then you'll need to get an Electronic Travel Authority online before you leave home. And while you won't need a visa to travel to South Africa, you WILL need two FULL consecutive blank pages in your passport. Be sure to check visa requirements for the country(ies) you'll be traveling to as soon as you book your trip – don't assume anything, and don't leave this go until the last minute. 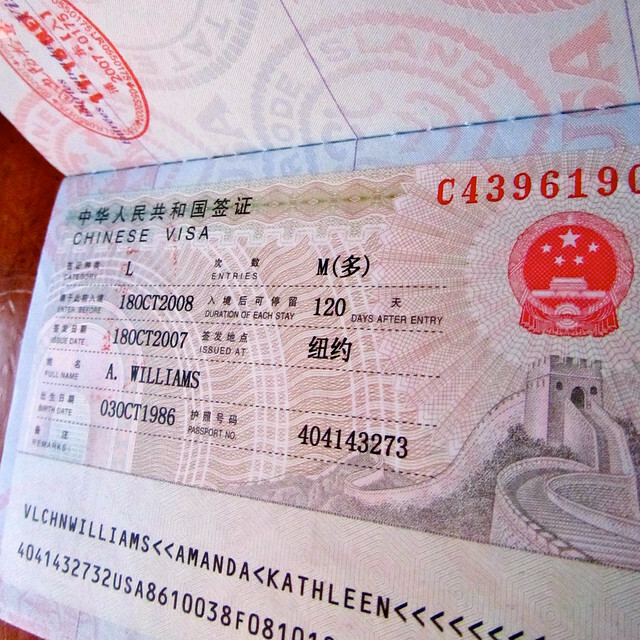 I usually use to check visa requirements for American travelers. You'll need a visa for China, too! 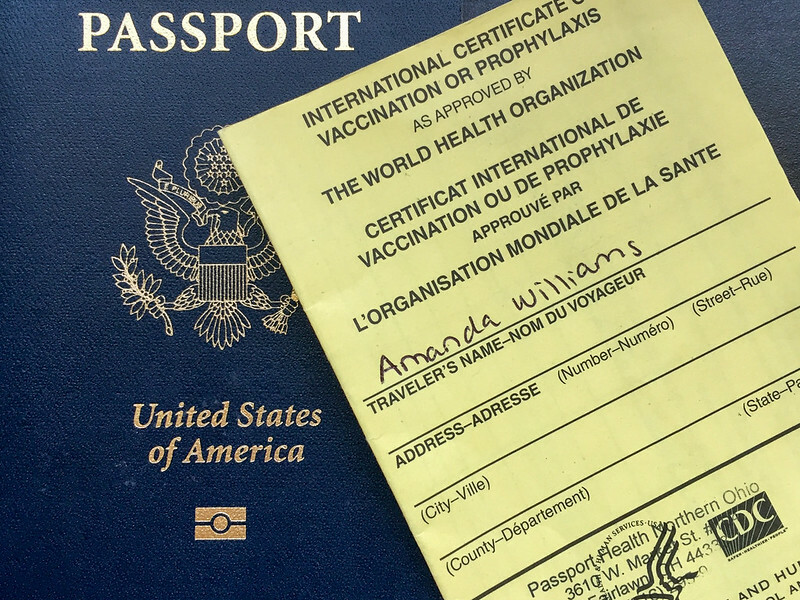 When I'm planning a trip to anywhere that's not in the US, Canada, or Western Europe, I double-check with to see whether or not I need any vaccines in order to travel. You can use this site to learn about recommended and required vaccinations for any country in the world. In general, you'll want to have all your routine vaccines (like MMR, tetanus, etc.) up to date. If you're traveling to less-developed parts of the world, you also may want to consider Hepatitis A and Typhoid vaccines, since both can be transmitted through contaminated water. Malaria is also something you'll want to read up on if you're visiting any tropical areas, or certain parts of Africa and southern Asia. Some places have a higher malaria risk than others. If you're traveling to a high-risk area, you'll probably want to visit a doctor to get an anti-malarial prescribed. The only vaccine that is frequently required around the world is the one for yellow fever. Some countries outside of yellow fever zones still require you to show proof of vaccination if you're traveling from a country where the mosquito-borne disease is prevalent. The yellow fever vaccine isn't cheap, but it's guaranteed to be cheaper than being turned away at a border if you need the vaccine and don't have it. For this reason, having travel insurance is vital. Going to be doing some serious hiking? Have travel insurance! When it comes to getting sick on the road, your current health insurance provider might already cover you overseas – you'll just need to call and check. If this is the case, you still might want to invest in a basic insurance plan that will cover you in the event of a canceled trip or other non-health-related misfortune on the road. For basic travel insurance, is one of the most affordable options out there. If your current insurance doesn't cover you abroad, be sure to buy a full-coverage travel insurance plan (and make sure it includes medical evacuation!). For this type of coverage, you can check out Allianz. A couple of days before you leave, be sure to alert your bank and credit card companies that you'll be out of the country and will be potentially using your card(s) abroad. This helps lessen the likelihood that your card will be declined or shut down for suspicious activity when you're trying to use it overseas. Most credit cards will have a customer service number on the back you can call to do this – and some even let you enter travel notifications online these days! Speaking of bank cards, have a plan for how you'll get some local currency. Even though most countries accept credit cards these days (with Visa and MasterCard being the most widely-accepted), it's still a good idea to have some local currency on you, too. You can order currency from your bank a few weeks before you leave. You can exchange money when you arrive (though note that airport exchange counters offer the most awful exchange rates – exchange at a bank if you can!). You can use your debit card at a local ATM – this is what I prefer to do! If you don't already have a credit card with no foreign transaction fees, consider getting one if your credit is good and you don't have a lot of debt (responsible credit usage, people!). 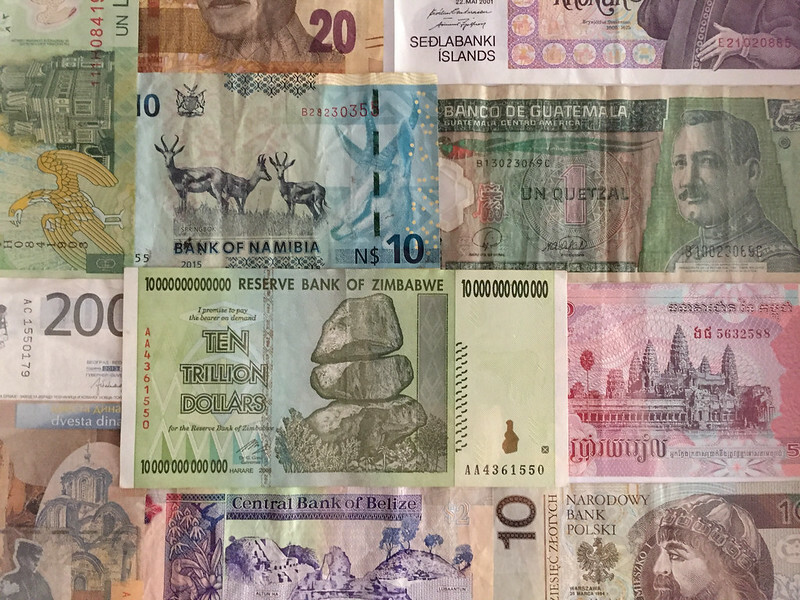 Foreign transaction fees are annoying and can really start to add up – so make sure to have a way around them if you don't plan to pay for everything in cash. Need suggestions on a good travel-friendly card? offers a lot of great suggestions. You may as well choose a card that will earn you travel rewards while you're at it! If you're booking a tour or organizing your trip through a travel agent, transport from the airport to your first hotel may already be arranged for you. But if you're planning your trip independently, it's a good idea to read up on your transport options before you leave home. How much would a taxi cost? Does Uber or Lyft or another rideshare program exist? Does your hotel have a shuttle? Is public transport available and easy to navigate? Finding the answers to these questions before you leave will cut down on the stress of arriving in a strange airport after a (likely) long flight. I know the last thing I want to do after a long overnight flight is try to figure out how to leave the airport. Make sure you know what the weather will be like wherever you're going – remember that seasons are different depending where in the world you are, and that “summer” and “winter” can be vary from continent to continent! 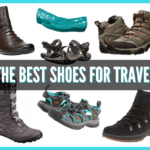 Know what season you'll be packing for well in advance, and then keep an eye on the weather forecast for exactly where you'll be in the weeks leading up to your trip. Also make note of whether there are any cultural norms to take into account. For example, many Middle-Eastern and Asian countries are much more conservative when it comes to dress, meaning you may need to avoid packing things like tank tops and shorts. 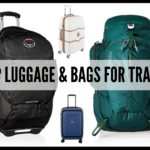 Check out my packing lists page for country-specific packing lists. 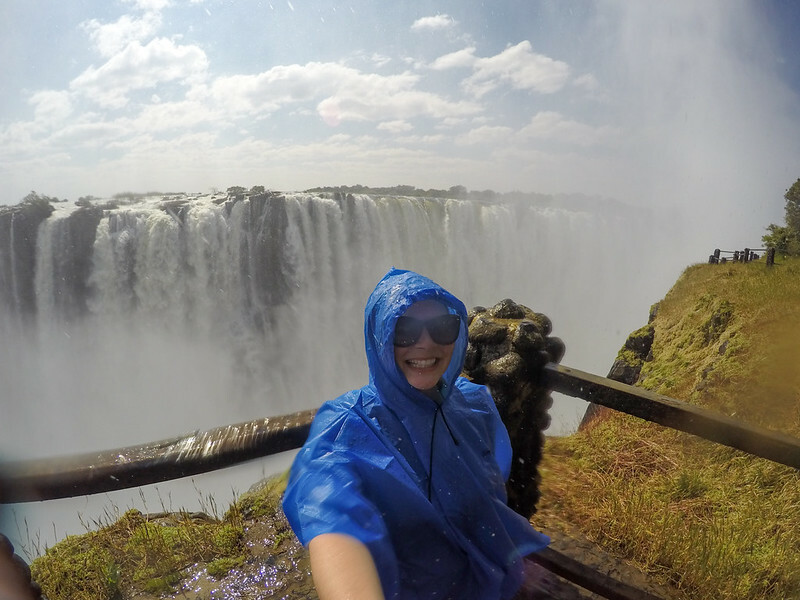 Going to Victoria Falls? Know that you'll get soaked, and pack accordingly! You should also check what type of power outlets you'll encounter on your trip. Voltage doesn't matter so much any longer (most electronics and chargers can operate internationally with no problem), but you will likely need an adapter for wall plugs. I like , which will work in just about any country. Lastly, you'll want to ensure that everything you're packing is going to stay safe. I love Pacsafe's line of theft-proof bags, and highly recommend grabbing a RFID-blocking, slash-proof or . In certain parts of the world, a also isn't a bad idea! Passport, tickets, reservation confirmations… it's a good idea to have hard copies of things, and to also have photocopies of important documents like your passport – just in case! Keep these copies somewhere safe, ideally separate from the originals. And speaking of those important documents, be sure to leave a copy of your itinerary with someone at home. This is especially important if you're traveling solo, to ensure that someone knows where you should be and when. Thankfully, it's easier than ever to stay in touch on the road. Wifi is widely available in most parts of the world, and international phone/texting plans, apps like WhatsApp, and Skype make it easy to check in with friends and family back home. When I travel alone, I make sure to check in with someone at home every few days. 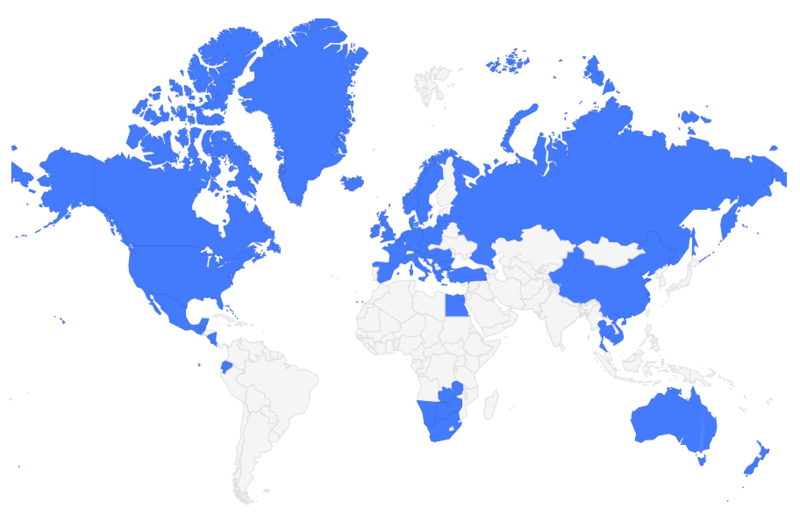 Even halfway around the world you can usually find wifi in order to send an email home. If you want to take things a step further, you can also register your trip (if you're American) with the nearest U.S. Embassy or Consulate by enrolling in the . STEP is free, and essentially makes it easier for your family or an Embassy to you in the event of an emergency. Lastly, do a little homework about your destination before you leave home. Read up not only on things to do and foods to eat, but also familiarize yourself with common scams to watch out for, how public transportation works, and if there are any areas you should avoid. Learning a few phrases in the local language (especially things like “hello” and “thank you”) will also go a long way. has quite a few useful phrasebooks that you might want to check out. And then, once your checklist is complete, be sure to relax and enjoy yourself! Are there any other things on your to-do list before leaving on an international trip? great list. i might add my two cents having just returned from europe. our bank charges an outrageous amount to exchange currency and recommended we do so at the currency exchange at the mall (which is what we did). we had a little starter pack of euros and then twice used the atm’s for more when needed. we were arriving after a long overnight flight and were not sure we could quickly find euros to pay our driver who needed cash only. so really, ask lots of questions at the bank about the exchange rate and fees. the second thing i would highly recommend is to have change in your pocket (local currency, of course) to use if you need to use the bathroom. we had to pay everywhere in italy, france and greece. if you did not have change, sometimes the attendant had some, sometimes not. understand where you will be needing to find your bio breaks! research your transportation options in the places you will travel. most places are so easy to get around with public transport. anyway, this is a great list and i would agree with all of it. only our second trip overseas but we now feel like experts. i cannot stress the importance of using the STEP program you mentioned. they kept us updated on the current threat levels in the countries we were visiting which gave us and our families peace of mind. Can I just add one more tip? It’s always good to research if your destination will have wifi or some sort of internet connectivity because let’s face it internet is important in this day an age. If you are not sure internet will be available then planing on getting a wifi dongle might be a good idea. Definitely worth looking into when you’re booking your accommodation! Luckily, wifi is a lot more common these days than it used to be. Excellent tips Akatuki! As an airline pilot, I´m often on the road and often find myself having to think about packing, visas and local currency. I´ve also written a list of tips for staying healthy (and sane!) on long-haul flights. Travelling is amazing, but is sometimes hard work and we need to make sure we look after ourselves – and our bank balance too. So true! I also always pack a little first aid kit with those “just in case” things like band aids, alcohol swabs, pain killers, etc. Because you just never know! Cracking tips! I’m still in the mapping out stage of Project Latino but I’ll def be referring back to this later! Just on the visa situation, my American friend made a howler and rocked up to Seoul airport to fly to Shanghai, believing he could use the 72-hour transit visa for a return trip. I wasn’t harsh enough to tell him the clue was in the word ‘transit’ but it seems somebody gave him dud advice on the regulations! People need to make sure the source the current information at reliable sources or risk the anguish of having the door slammed in their faces! Oh geez! Yes, it’s definitely important to get info about visas from a reliable, official source! Hi Akatuki! Great list! Do you have any recommendations for credit cards that don’t have a foreign transaction fee? I’ve been using PayPal, which only has 1%, instead of the usual 3%, but I haven’t heard of any others. Great tips! I often forget about telling my bank too! Whoops. Great tips! I haven’t traveled anywhere that I’ve needed a visa yet, but I always double check before planning a trip just to be safe! Always a good idea – it only takes a few minutes to check online, but it can save you hours of headaches! To add, call your bank about your debit/ATM card to let them know you’ll be using it overseas. If you’re a Bank of America customer, you can use ATMs without a fee at specific banks in select European countries. Yes! I don’t like to travel without it after hearing some horror stories of accidents on the road! Very useful list. I add this one to my favorites, each and every title should be carefully checked before setting out. I’d also recommend that you get a neighbour to collect your post, water your plants, and open and close your shutters / blinds. And depending on how long you’re travelling for, to air the rooms! We have a special alarm system that does a lot of things autoatically, but nothing beats an actual person. A blocked mailbox says volumes. Any you really wouldn’t want to come home to dead plants and stuffy rooms! Oh, and ask a relative or close friend to buy some essentials before you arrive, such as fresh milk, juice, butter, and a loaf of bread, as you’re usually starving when you get back from your holiday lol! Also great tips! If both Elliot and I travel together, we always have someone come over once or twice a day to take care of our cat – which is another thing to plan for before you leave home! 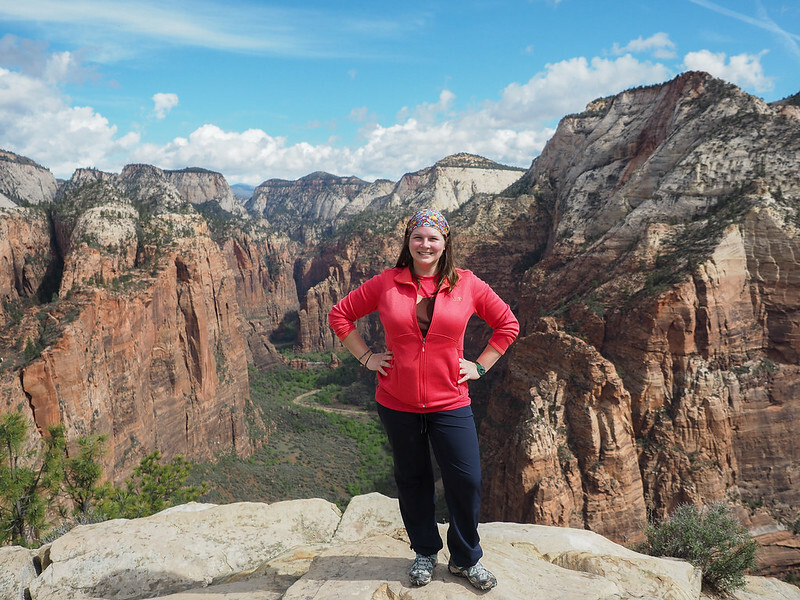 A lot of people overlook travel insurance, but I’ve heard too many horror stories of broken bones and hospital stays – I’d rather have it and not need it than need it and not have it! Really great tips! Thanks for the reminder to enroll in the STEP program. It’s never a bad idea, especially if it will give you and your family members a little peace of mind. Hi Akatuki! Is that tram photo in Nice? 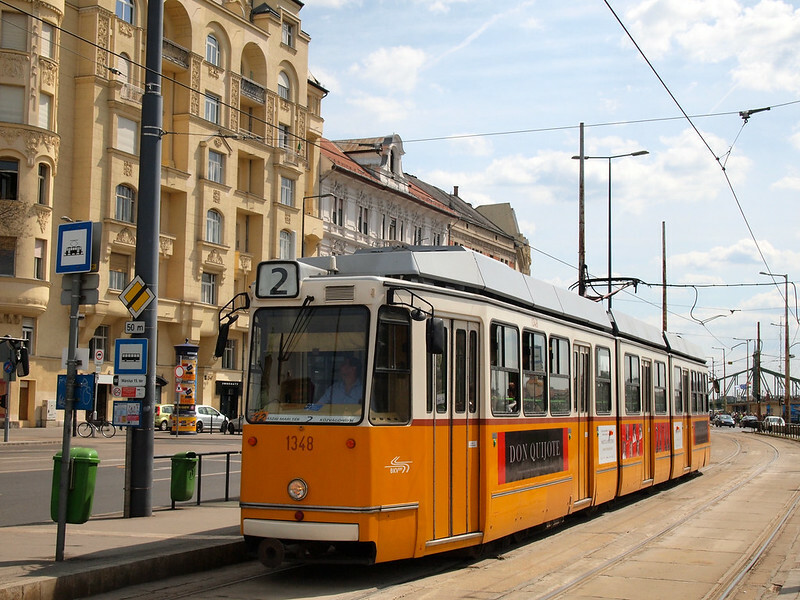 Nope, the tram photo is actually from Budapest! You just never know when technology is going to fail you! Very informative post! Great post and lovely pictures! This might sound like a silly one, but if you take pictures on multiple devices (e.g., camera and phone), make sure the clocks on both are set the same. It makes it so much easier to pick your favorite photos if all the ones from any given site/outing can be grouped together just by sorting by date. Definitely a useful tip for all the travel photographers!